As he stood in the face-off circle, side-by-side with his teammates and Chicago Blackhawks players, all observing a moment of silence for the 15 who died and those that were injured in the bus crash involving the Humboldt Broncos junior hockey team on April 6, two thoughts crossed Connor’s mind. 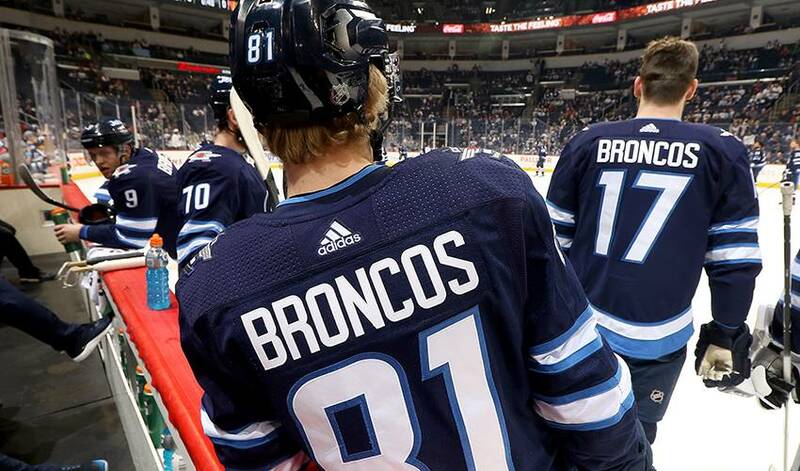 Like everyone on both teams – each player’s last name replaced with ‘Broncos’ on the backs of their sweaters – Connor knew he had to put any thoughts of grief on hold for a few hours. Connor certainly was in the 4-1 Jets win. He scored his 31st goal in Winnipeg’s regular season finale to finish the campaign with the most goals among NHL rookies. After beginning the season with the Manitoba Moose in the American Hockey League, Connor, selected 17th overall by the Jets in 2015, was recalled early on after a rash of injuries to the Winnipeg lineup. The 6-foot-1, 182-pounder made the most of his opportunity. Averaging 16:54 of ice time, he recorded 57 points and contributed seven game-winning tallies. And now he has the Stanley Cup Playoffs to look forward to. But before Winnipeg takes on Minnesota in their Western quarterfinal set, Connor, at least for one day, gave his mind and body some rest from hockey. “I’m actually watching the final round of The Masters,” he said on Sunday. “We have an off day today, so it’s a time to relax and take your thoughts away from hockey for a bit. Of course, you are still thinking about all those affected by the Humboldt tragedy.